Dr Isha Mckenzie-Mavinga has been teaching transcultural workshops at Goldsmiths for twenty years. She has a private practice and offers clinical supervision for individuals and groups. Isha is passionate about the inclusion of black issues in therapeutic understanding. 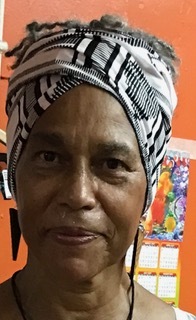 She set up therapy services for the African Caribbean Mental Health Association in the early 90’s and developed therapeutic group work at Women’s Trust, with women impacted by domestic violence. She has also worked as a student counsellor and Senior Lecturer at London Metropolitan University. Isha published several papers from her Doctoral study about the process of understanding ‘black issues’ in counsellor training. She also co-authored an autobiography and contributed poetry to anthologies. Isha’s book ‘Black issues in the therapeutic Process’, Palgrave Macmillan Publishers was published in 2009. She currently presents Black Issues workshops, is working on a second book and provides online therapeutic support and group and individual transcultural supervision.